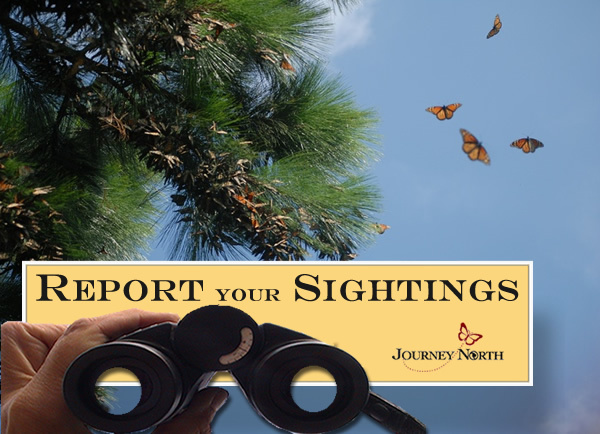 Report all monarchs that you see, even if you don't know whether they are migrating. 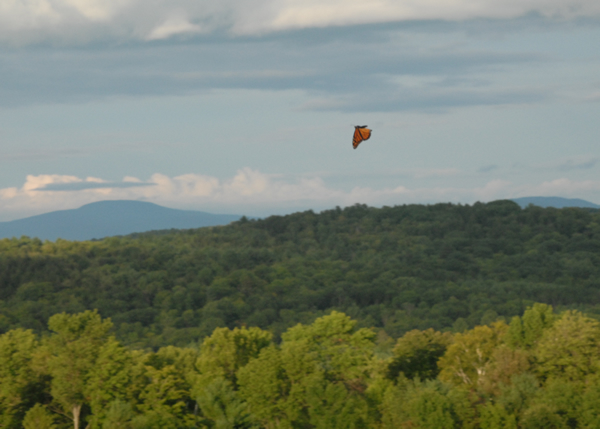 Report as long as monarchs are present, even into the winter months. Report peak migration events. 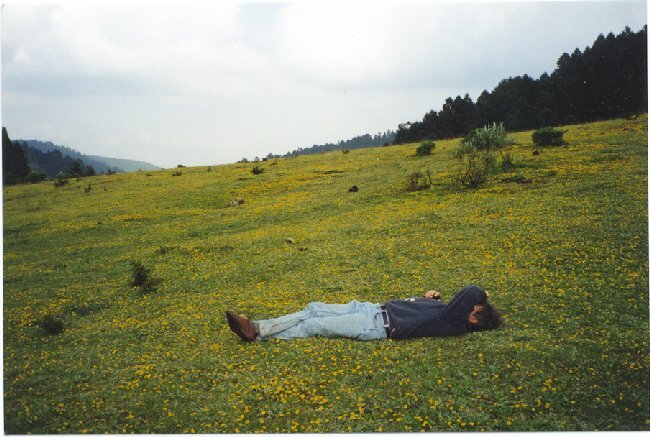 Try to count monarchs regularly so you compare one day to the next and identify the peak. Don't hesitate to report an event as "peak" if you believe it is. We review all sightings and will contact you with questions. Report night-time roosts. 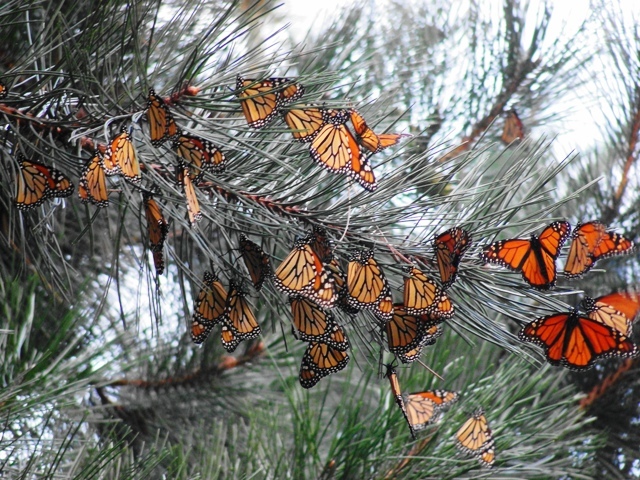 Migrating monarchs cluster together at night, typically in trees. A roost may have a handful of butterflies or far too many to count. 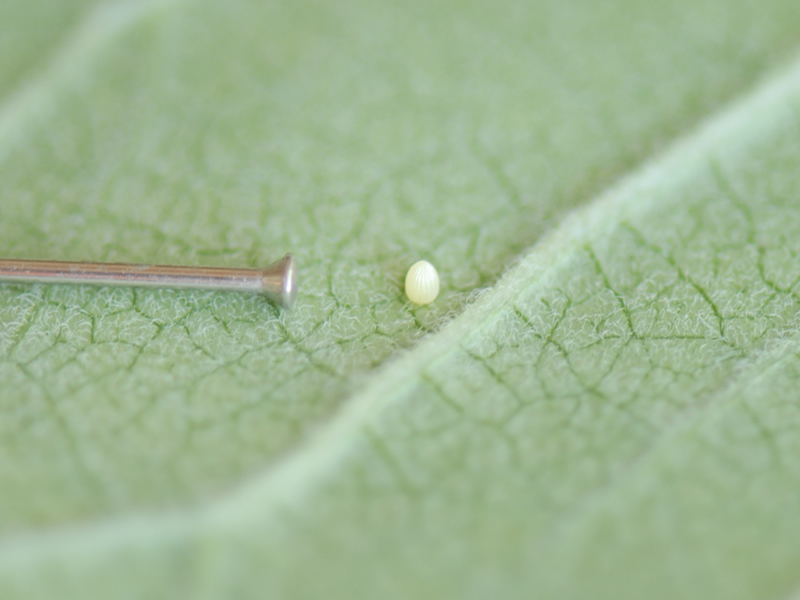 Report monarch eggs or larvae. These indicate when and where monarchs are breeding in the fall. All sightings are included on Journey North's real-time maps. 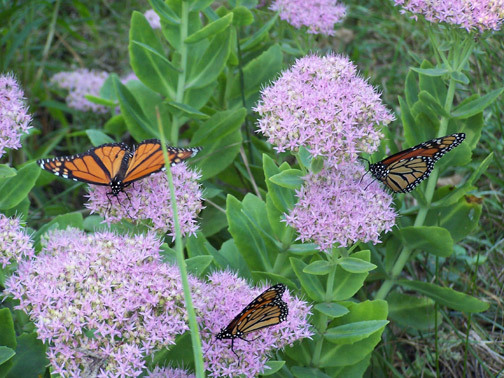 Citizen scientists are making an important contribution to our understanding of monarchs and migration.